Here Are 30 "George W. Bush Doesn't Look So Bad Now!" Tweets, but With "Bush" Replaced By "Charles Manson"
Well, Charles Manson died. He was a cult leader and murderer who had been in jail a very long time, and now he’s dead at age 83. 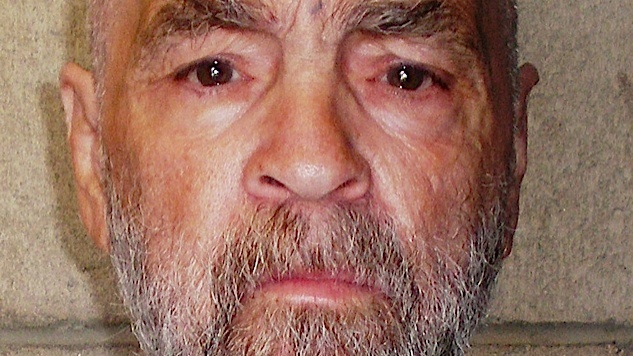 What better way to honor him, we thought, than to use tweets by angry Twitter people—predominantly well-meaning but clueless liberals, along with “respectable” conservatives—who hate Trump so much that they stumble into whitewashing George W. Bush’s legacy…but then pretend those tweets were about Charles Manson? Note: We are not comparing George W. Bush to Charles Manson…Manson killed far fewer people, for one. (For a real take on why we shouldn’t whitewash Bush’s image, go here.) It just felt like we had to write something about Manson, and since there’s not much to say except “a bad guy died,” we’re doing this instead. Note number two: We’re not going to link the original tweets. This isn’t some weird shame exercise. We just searched for variations on “Bush not so bad,” trawled the web for a few extras, and replaced the text wholesale. One of these is a Nancy Pelosi quote, and not a tweet. Some of them don’t quite fit the whitewashing mold, but amused us too much to ignore. 1. You know things are bad when Charles Manson starts sounding like a member of the Resistance. 3. Did we ever think we would see the day when we would say, ‘Please bring back Charles Manson’? 5. I don’t think he’s being normalized. If anything, I think ppl are just saying Trump is so awful that Charles Manson seems not so bad by comparison. 6. Donald Trump is making Charles Manson’s legacy look that much better in comparison. 9. I may not have agreed with Charles Manson, but he was a good man. 10. Trump’s so bad, even Millard Fillmore and Charles Manson seem like powerful leaders in comparison. 11. Today Charles Manson used the words “white supremacy” in calling out the racism of President Trump in a nationally-televised speech. WHOA!! 13. Well I guess in comparison to Trump, Charles Manson could be considered a statesman. But it’s still a stretch. 15. That Trump can make even Charles Manson seem like a moral intellectual & pillar of reason by comparison is a pretty sad statement, really. 17. What if Trump’s presidency is an elaborate conspiracy to make Charles Manson look competent in comparison? 18. Please do not compare Charles Manson to Trump, Charles Manson was not a great president but he genuinely meant well. 19. Charles Manson is clearly part of the globalist elite. Compare to Trump, whom the elite despise. 20. Trump is very much incomparable to ANY U.S. president. To compare is to degrade them. Even (and i can’t believe i’m saying this) to Charles Manson. 21. The GOP of “that time” no longer exists. Think about it: we’re now thinking Charles Manson was not so bad. Say what you want, but he was decent. 22. What if Trump was just a plant to make Charles Manson seem not so bad? 23. Remember when Charles Manson was criticized for his golfing excursions? Seems not so bad relatively speaking. 24. Trump has managed to make “Tricky Dicky” not so bad and Charles Manson the voice of reason! I never dreamed this day would ever come! 25. Say what you want about the Manson family, they would never have countenanced this. 26. Say what you want about the Manson family. They at least attempted to lead with dignity. Trump has zero empathy, zero class, and zero dignity. 27. Say what you want about Iraq or Katrina, but the one thing Charles Manson excelled at was loving his country and its proud citizens. 28. I am no fan of the Clintons, especially Hillary, but she would have been better than trump. Charles Manson was better. Wow did i say that? 29. Let’s face it, anyone looks good compared to #Trump & his sideshow of loons! But Charles Manson was always a down to earth person. 30. Of all the things I hate Trump for, making me nostalgic for Charles Manson is way up there.